Get rid of your bee problem today! 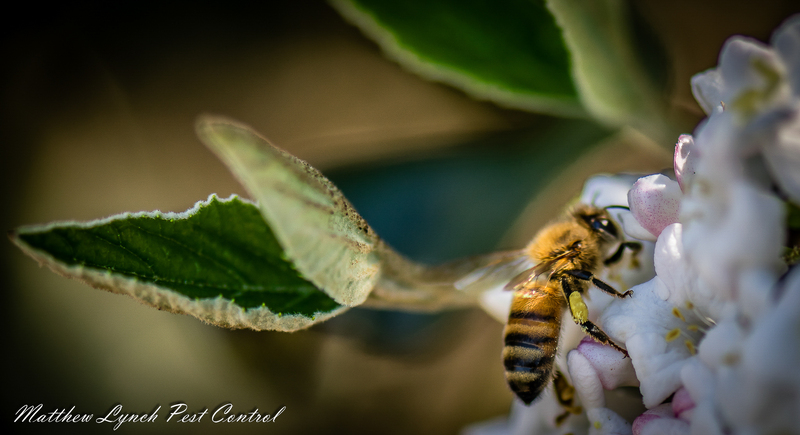 Bee Control Penrith - Honey Bees were introduced to Australia’s ecosystem with the arrival of early settlers. Bees can become aggressive while protecting their hive from threats such as humans. It is important to enlist the professional services of qualified bee revivalists when dealing with an active swarm or hive at your Penrith property. If you find or suspect a bee hive at your property in Penrith or near by area, call the expert bee removal team at Matthew Lynch Pest Control for a safe and effective bee control solution. Our affordable bee removal services are available in Penrith and surrounding areas. And are guaranteed to create a safer environment for you and your loved ones. If you find a bee hive at your Penrith property DO NOT try and remove it yourself; Matthew Lynch Pest Control is the best bee hive removal solution. Our team of qualified and experienced bee control experts are able to be on site at your Penrith property to assess and remove all traces of bee infestations. For quality bee extermination and removal services that are proven to work, call Matthew Lynch Pest Control today. If you find a swarm of bees, do not approach it. Contact us on 0406 679 538 immediately!